As the blood circulates through the body, it exerts a force against the walls of the blood vessels. The extent of this force is known as ‘blood pressure’. Blood pressure is measured by a specialized device. The readings recorded by this device shall enable the physician to judge whether the blood pressure is high or low. Getting diagnosed with high blood pressure is certainly a matter of concern as high blood pressure is a dangerous condition which damages the heart leading to heart attacks & strokes. But, you need not worry as there are several ways to lower blood pressure naturally. Medications are not the ONLY solution to lower your blood pressure. There is several diet & lifestyle modifications which are can safely & effectively help in getting your raised blood pressure back to the normal levels. Regular exercise aids in making the heart stronger and in, efficiently pumping blood which in turn reduces the pressure in the arteries. Exercise such as brisk walking, running, jogging, cycling, swimming, dancing, etc. can help in lowering blood pressure and in enhancing heart’s health. Regular exercise even for just 30 minutes a day can help decrease your blood pressure. Being overweight exerts additional strain on the heart leading to an increase in blood pressure. If you are overweight then, losing weight can be one of the most effective ways to lower blood pressure. If you are obese then, losing even a small amount of weight can help lower blood pressure. Maintaining a healthy weight is essential to lower blood pressure. Stress plays a vital role in elevating blood pressure hence; all ways to reduce stress should be practiced so that the blood pressure can be lowered. Stress management plays a crucial role in decreasing elevated blood pressure. Stress hormones constrict the blood vessels leading to temporary spikes in blood pressure. But prolonged stress can increase the blood pressure for longer durations. Practice yoga, meditation or deep breathing. Meditation and deep breathing activates the parasympathetic nervous system which relaxes the body, slowdowns the heart rate and lowers the blood pressure. There are different styles of meditation which lower blood pressure. Extract time to relax and to do activities you enjoy. You must always focus on your priorities & learn to say no. Follow the Dietary Approaches to Stop Hypertension (DASH) diet which helps in lowering blood pressure. The DASH diet includes intake of fruits, vegetables, whole grains, low-fat dairy products, lean meats, fish, and nuts. It advises the elimination of foods high in saturated fats, full-fat dairy products, and fatty meats. Fruits & vegetables rich in fiber & potassium should be consumed. It is advisable to increase the intake of water. Increase potassium intake as potassium reduces the effects of salt on the system and it also reduces the pressure in the blood vessels thus, lowers blood pressure. To reduce blood pressure, increase intake of potassium-rich foods such as milk, yogurt, fish, nuts, bananas, oranges, apricots, green leafy vegetables, sweet potatoes, potatoes, beans, tomatoes, spinach, etc. Increase intake of magnesium as magnesium helps in making the blood vessels relax thus, making it easier for the blood to pass through the blood vessels. To lower blood pressure, it is advisable to increase the intake of foods rich in magnesium which include chicken, meat, dairy, vegetables, and whole grains. Consumption of small amounts of dark chocolate & cocoa is helpful in reducing blood pressure. Dark chocolate & cocoa are rich in different flavonoids which help in dilating blood vessels thus lowering blood pressure. The darker the chocolate, the higher the cocoa content and hence, more the photochemical content. One to two small squares of dark chocolate with a minimum 70 percent cocoa content should be consumed daily. Berries help in lowering blood pressure and in decreasing risk to other heart diseases. This is due to the polyphenol content of berries. People consuming berries and foods rich in polyphenol experience reduced risk to heart diseases. Pomegranates are a rich source of natural ACE inhibitors which avoid those enzymes from damaging the circulatory system. Pomegranate juice is quite beneficial in lowering blood pressure. 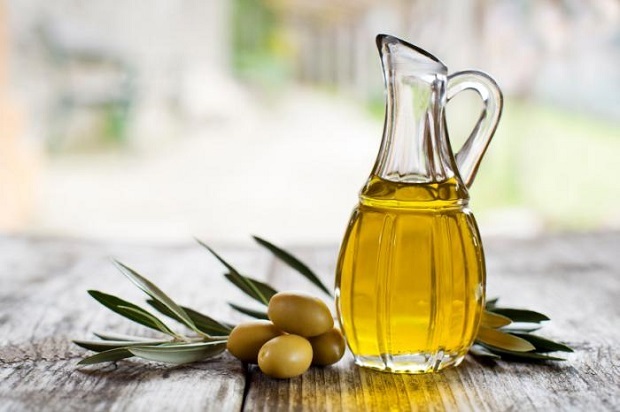 Consumption of olive oil helps in lowering blood pressure. The polyphenol content of olive oil helps in lowering blood pressure. Flaxseed is a rich source of omega-3 fatty acids which acts in decreasing blood pressure. It helps in maintaining the heart’s natural rhythm. Further, flaxseeds also lower cholesterol, prevent hardening of the arteries & reduce the risk of stroke. Grounded flaxseeds can be consumed regularly to prevent cardiovascular diseases & lower blood pressure. Nuts have a great influence in reducing blood pressure. Among all the nuts, pistachio seems to have the strongest influence in decreasing blood pressure. Some of the other nuts that have a beneficial influence in lowering the blood pressure are almonds, walnuts, cashews & hazelnuts. 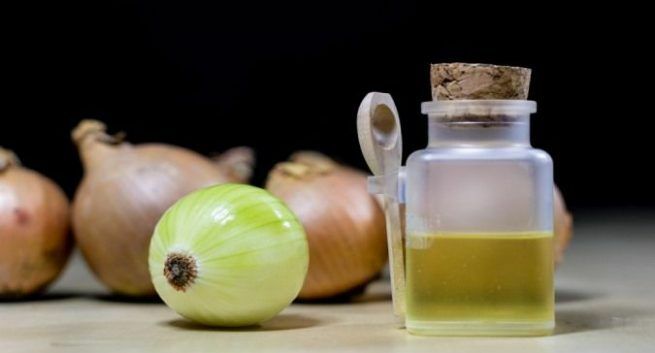 Quercetin is a content of onion that is a powerful antioxidant. Quercetin helps in lowering blood pressure & in decreasing the risk of stroke and heart attack. Celery contains a high amount of phytochemicals, 3-N-butylphthalide which helps lower blood pressure. Phthalides further aids in relaxing the muscles around the arterial walls thus, permitting the blood to flow freely. It lowers blood pressure by acting both as a diuretic and vasodilator. To lower blood pressure, it is advisable to consume daily at least one stalk of celery with a glass of water. Basil contains a chemical known as eugenol. Eugenol may block certain substances which tighten the blood vessels. This may subsequently cause a fall in blood pressure. To control blood pressure, basil juice along with 1 tablespoon of honey should be consumed daily. Beets have the highest nitrate contents as compared to all the vegetables. Foods rich in nitrates help the body to produce more nitric oxide (NO), which dilates the arteries thus, reducing blood pressure and improving cardiovascular function. Cucurbocitrin content of watermelon seeds helps in dilating the blood capillaries thus, reducing blood pressure. Cayenne pepper enables the blood to flow freely by preventing the platelets from clumping up and building clots in the blood. A little quantity of cayenne pepper in your diet daily is sufficient to control blood pressure. Excessive sodium in the body retains fluid which may lead to a sharp rise in the blood pressure. Even the slightest reduction of sodium in the diet can enhance the heart’s health and can lower blood pressure. Ideally, the sodium intake should be 1,500 mg a day or less. To decrease sodium intake, limit processed foods & salt intake. Limiting processed food intake can lead to reduced salt, sugar and even refined carbohydrate intake. It is recommended to read food labels and choose low-sodium alternatives. Refined carbohydrates when consumed, rapidly gets converted to sugar and may lead to a rise in blood pressure. Hence, the intake of processed sugar and refined carbohydrates should be reduced. Reducing intake of processed sugar & refined carbohydrates can improve heart health & lower blood pressure. Limit intake of caffeine as caffeine causes an immediate raise of blood pressure. The raise is short-termed. Reducing caffeine intake helps lower blood pressure. Smoking causes an immediate and temporary rise in the blood pressure. The chemical (nicotine) in tobacco damages the walls of the arteries leading to narrowing of arteries, causing risk to heart attacks and blood clots. Nicotine is known to affect the blood vessels even if you are a passive smoker. Quitting smoking lowers blood pressure and also reduces the risk of heart disease. Frequent excessive drinking may increase blood pressure and may also increase your risk of hypertension. Alcohol must be consumed only in moderation, usually for women one drink a day and for men two a day. The effectiveness of blood pressure medications can also be reduced by drinking more than moderate amounts of alcohol. Adapting these above-mentioned natural ways shall surely help you in effectively lowering your blood pressure & help you lead a heart disease free-life. 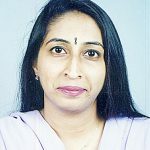 Hi, I am Dr. Varsha Sharma Kapila, a Consultant Homoeopath, practicing over last 21yrs. I have a vast experience in treating several ailments ranging from skin complaints, respiratory complaints, migraine, kidney stones, diabetes, female disorders, joint pains, impotence, depression, psychiatric disorders, pediatric complaints, old age diseases, etc. You can reach me on my email – drvarshas@gmail.com for any health-related queries, online Homeopathic treatment; dietetic counseling; and addiction counseling.